A research letter from the epidemiologists and statisticians at the American Cancer Society has just been published in JAMA Oncology. The full text of the research letter is available on line. Incidence rates for early-stage prostate cancer [have] continued to decline in men 50 years and older in the 18 SEER areas following the US Preventive Services Task Force recommendations against routine PSA testing to all men in 2012, although the decrease from 2012 to 2013 was smaller than that from 2011 to 2012 (6% vs 19%). The question of exactly what impact the recommendations of the USPSTF have had on the likelihood of a diagnosis of clinically significant prostate cancer cancer — and most particularly on the risk that men might have of being diagnosed with incurable forms of prostate cancer — is controversial. An article in The Philadelphia Inquirer has also covered this topic this morning. The “New” Prostate Cancer InfoLink is of the opinion that it is probably too early for us to be able to gain “truth” from any of the analyses conducted to date. In most cases prostate cancer is too slowly developing as a disease for 3 years’ worth of data to be able to tell us the impact of the revision to the USPSTF recommendation that was only formally issued in 2012. The other problem is that we have almost no really good information whatsoever on the effects of intensive testing for risk and consequent diagnosis and treatment in well-defined groups of men at higher risk. As a consequence, we can’t really tell whether there are subsets of men in whom more intensive forms of regular testing might be or are actually be beneficial — even if it may have limited or no value for men like your (now 68-year-old) sitemaster. As Vinay Prasad has pointed out, RCTs should have first been performed on subsets of men for whom the greatest benefit was expected. The fact that this was not done was a piece of incompetence. If you want to be really cynical, I will tell you that I don’t believe that this was “incompetence” at all. I believe it was a very deliberate strategy on the part of the developer of the Hybritech PSA test to maximize the likelihood for mass PSA screening. If they had done tests in well-defined subgroups of men thought to be at elevated risk, it would have had the potential to lower the probability of widespread use of the PSA test as a screening tool. This decrease in early stage diagnoses is not surprising of course; it is exactly what we would expect. (I have read both linked articles.) Many of us would also expect a continuation of the increase in diagnoses of later-stage disease, though we would be seeing an increase in such diagnoses only for the very fast-moving types of aggressive disease at the data point in 2013 that was so close to the release of the publication in 2012, not expecting an increase to show up yet for the slower but still potentially metastatic and lethal types. Figure 2 shows a steady, slightly increasing trend in distant prostate cancer diagnoses from the low point in 2007 through 2013 for men in the 50-74 age group. There is a decrease from the first plot point, 2005, through 2007. The Task Force’s recommendation against screening for older men was published in 2008, the first year of the increase, and so 2007 is what we would expect as the point where the curve bends; the general recommendation against screening was published in 2012 after several years in process. The incidence ratio shows distinct jumps in diagnoses of these distant cancers from 2007 to 2008 and 2012 to 2013 for men aged 50 to 74. The patterns for men 75 and older are not as clear. It is frustrating that the Task Force took a poorly informed anti-screening stance when it could have taken a stand in favor of smart screening coupled with active surveillance for lower-risk cases. I am not fond of Dr. Prasad’s viewpoint, but I recognize there is a possibility he may be right. I believe he is wrong, and I’m thinking that neither incompetence nor a deliberate strategy to maximize sales were behind the lack of RCTs to support PSA screening, though I have great respect for Sitemaster’s long experience and hunches. 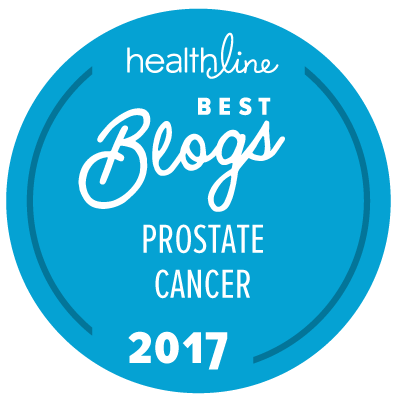 We need to keep in mind that as recently as the mid-1970s prostate cancer was killing about one third of patients within the first 5 years. It was a major threat — a highly deadly disease with significantly lower survival than bladder or breast cancer! While there was some steady improvement in the survival rate to the mid-eighties, about a quarter of patients were still dying within 5 years at that point. But then — about 1985/1986 — there was a dramatic change, coinciding with the approval of the PSA test for monitoring disease in 1986. From that point there was soaring improvement in survival that approached 95% through the early 1990s. With such beliefs, if we put ourselves back into the mid-eighties to mid-nineties time frame, when PSA was coming to the fore, would we have advocated clinical trials where half the patients would be consigned to non-screening, despite rapidly improving survival numbers coincident with a surge in screening? With such apparent benefit of screening and lack of knowledge of the extent of unnecessary treatment (which did not emerge until years later), would not randomizing some men to non-screening have seemed heartless and irresponsible? I’m not posing these as rhetorical questions and would be interested in rebuttals.